For information on outdoor swim lessons, visit our Outdoor Lessons page. No outside food or beverages, please. Hillside Aquatic Complex: There are lockers in both the men’s and women’s locker rooms. Please bring your own lock. Children 8 years old and under must be accompanied by someone 16 years old or older. Daycare Ratio: 6 children/daycare supervisor. No exceptions. Patch must be sewn on suit. Patches are for sale during regular swimming hours. Patches may also be purchased at the Park District Office, 400 East Front Ave, prior to the opening of the pools. 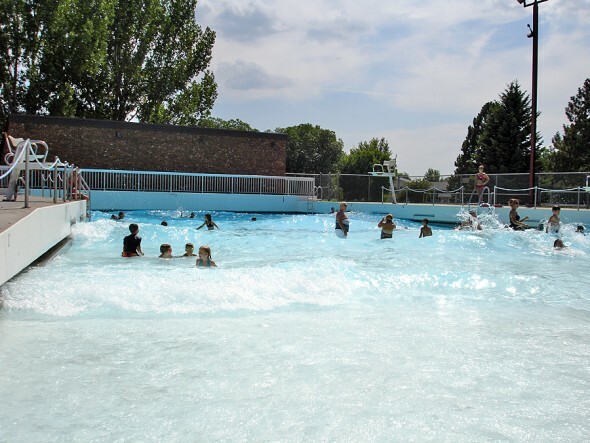 Coupon books may be purchased at the pool or at the Park District Office, 400 East Front Ave, prior to the opening of the pools. For daily schedule info, call 222-6607. Two party rooms are available during general swim, evening sessions and after hours. Reservations can also be made at the facility or by calling 222-6419 (Hillside) or 222-6455. 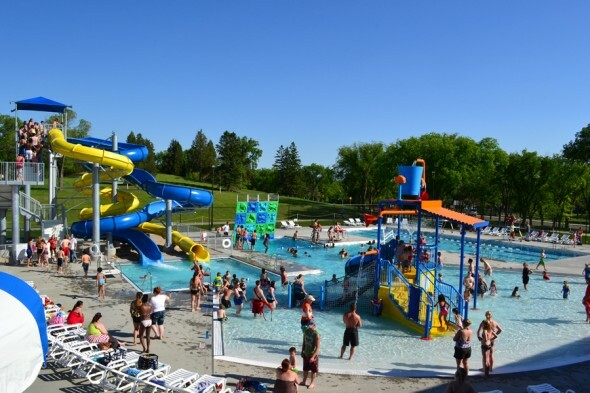 Includes 10 Elks Aquatic Center admissions ($3.50 per additional person). Located within Lions Park, 1719 E. Boulevard Ave. For daily schedule info, call 222-6419. Party space is available during general swim, evening sessions and after hours. Reservations can also be made at the facility or by calling 222-6419 (Hillside) or 222-6455. 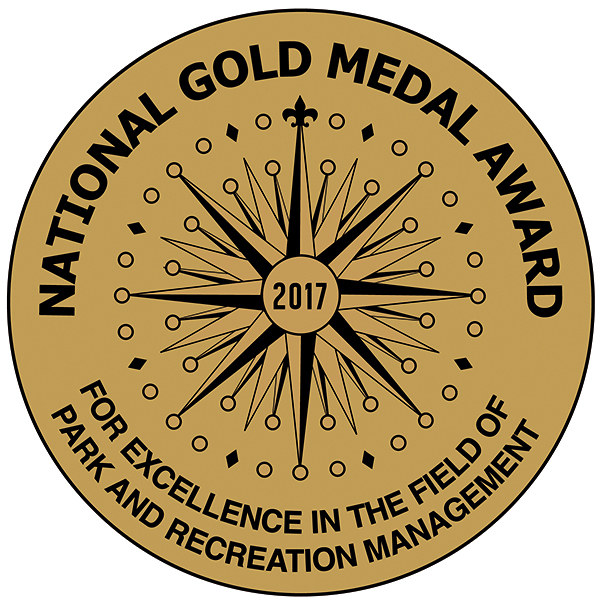 Includes 10 Hillside Aquatic Complex with waterslide admissions ($3.50 or $5.00 per additional person, depending on waterslide). 205 E. Reno Avenue. For daily schedule info or facility rental, call 222-6614 (Watcher) or 222-6455. Coming soon, in the summer of 2019, a splash pad in New Generations Park, 1021 Mustang Dr. Watch for the grand opening, hours and more information. All pools are available for private rentals after hours for $200/hour. Please make rental reservations at least one week in advance to allow for staffing needs by calling Dylan Thiem at 222-6607. Whenever inclement weather threatens participants, or lightening is spotted, the pools will close. 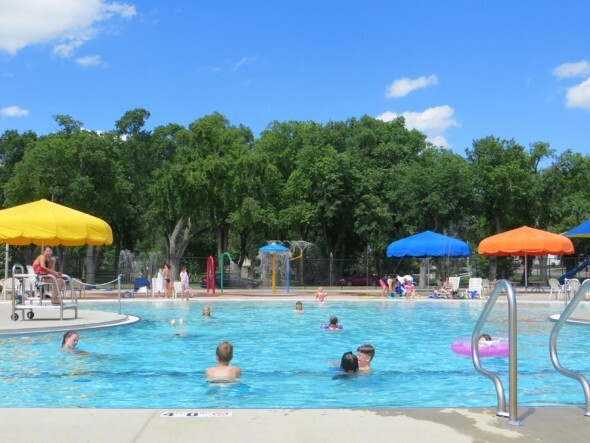 If the air temperature is not 66 degrees by 11am, the pools will not open. If the pool closes during a session, you will receive a rain check. Rain checks must be used during the current pool season.